Plaza 15 is a small Fort Lauderdale Condominium that offer a great package of ammenities for the owners of Plaza 15 Condo in Fort Lauderdale. Plaza 15 has recently recieved numerous updates, including a new lobby for the owners of Plaza 15. The healthy lifestlye of Fort Lauderdale Condo living gets an extra boost at Plaza 15 with it newly updated gym. Plaza15 has seen inventory drop dramatically as the Fort Lauderdale Real Estate market turned around and the short day on market prove that the best publicity for this building is the owners who live there few of whom are selling their condos. Plaza 15 is a great spot for the person who wants a boaters vacation in a location where can you easily rent a boat, or keep one safely at a local dry stack, its about entrenching yourself it the boaerts lifestyle of the City of Fort Lauderdale. Thinking about a less expesnvie great vacation spot in Fort Lauderdale, think Eric Miller and Associates first and let us show you Plaza 15. Plaza 15 has always just been a cool building to live in surrounded by a boaters lifestyle. With real etstate starting to boom againe in the Fort Lauderdale real estate market , one of shrinking inventory, properties such as Plaza 15, with a superior location will certainly benefit. Read more about Plaza 15 Condos in Fort Lauderdale, Florida. Plaza 15 is located just north of the 17th Street Causeway giving it great accces to the beach area and many new businesses that have started to surface throughout this main route to the beach. Built in 1974 and is a smaller builder which features as one on its ammenites great dock spece. Dock space is handled through the dock master and as leased at a bargain rate to owners when available. Just a reminder you must be an owner at Plaza 15. 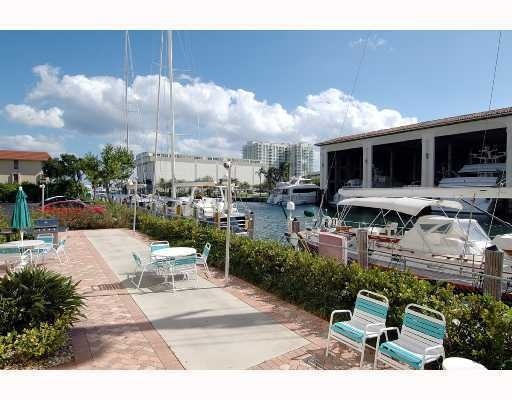 Plaza 15 sits on a very busy waterfront, filled with many of Fort Lauderdale's beautiful yachts so if this is the scenery you have on your wish list, this Fort Lauderdale Waterfront Condo may just be the righ spot for you. From sunrise to sunset views at views at these Condominiums for Sale in Fort Lauderdale are always a reminder that Plaza 15 is a boaters neighborhood. 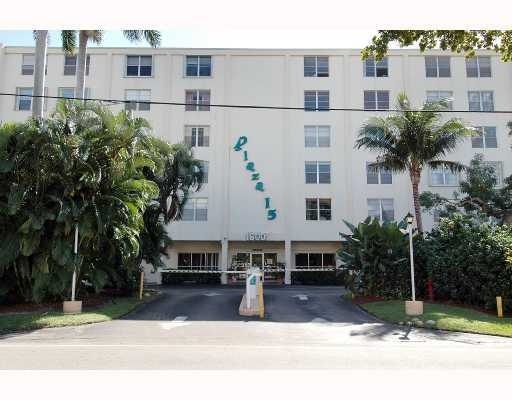 Plaza 15 has completeed many updates thorughout the property but the single biggest feature about this Fort Lauderdale Condominium is its location. Close to the areas of Rio Vista, and Lauderdale Harbor. This Fort Lauderdale Condo is close to shopping, downtown, the airport and the beach. Many owners have started to renovate and are installing hurricane resistant windows, new kitchens and baths further adding to the appeal of Plaza 15. At Eric Miller and Associates, "We're here to help" with your next Plaza 15 purchase or sale. Contact us directly at (954) 383-8170. Just starting your search for a Fort Lauderdale Beach Condo, here are some other properties you may find of interest. The data relating to real estate on this web site comes in part from the Internet Data Exchange program of the MLS of the Miami Association of REALTORS®, and is updated as of April 22nd, 2019 at 3:09am EDT (date/time). All information is deemed reliable but not guaranteed by the MLS and should be independently verified. All properties are subject to prior sale, change, or withdrawal. Neither listing broker(s) nor Keller Williams Realty shall be responsible for any typographical errors, misinformation, or misprints, and shall be held totally harmless from any damages arising from reliance upon these data. © 2019 MLS of MAR.